In the spring of 1954 Jim Crockett spoke before an audience in the City of Lexington, North Carolina to publicize the debut of professional wrestling at the local YMCA gymnasium. He announced an agreement that he had entered with the organization whereby a portion of the proceeds would go towards funding the newly constructed arena. Crockett also told the assembled group about his plans for weekly shows if the initial matches drew adequate crowds. Marketing the wrestling matches would be through advertisements in local newspapers, along with display cards in store fronts and on utility poles at strategic intersections. 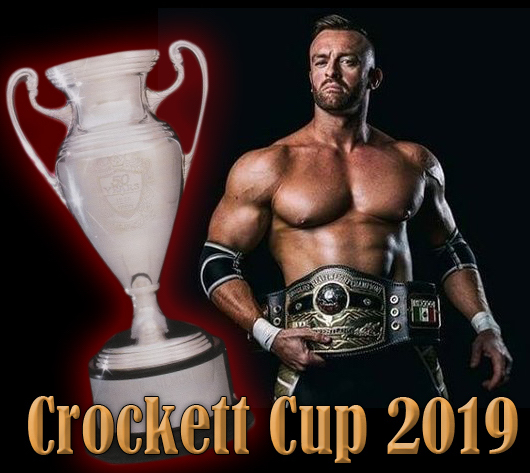 Since locally affiliated wrestling was not televised in the immediate area, Crockett described the need for a strong connection with the population in the Piedmont section of the state. He then advised the attendees about his new association with a prominent sports authority who would play a significant role in providing a major event atmosphere, while drawing sports fans not previously interested in wrestling. That prominent authority was Charlie Harville. Charles Edward Harville was born December 15, 1918 in High Point, North Carolina. From an early age he had a tremendous interest in playing various sports that progressed into his college years. Not being as successful as he had envisioned in football, Charlie turned to baseball but failed to make the High Point College team. Showing his lifelong ability to overcome setbacks through trust in his own self-reliance, he would later tell a newspaper reporter that being cut during the baseball tryouts made him strive to succeed in his second ambition – being a sports broadcaster. So while still in college, Charlie went to his hometown WMFR radio and boldly offered his services as a substitute play-by-play announcer for the Thomasville Tommies baseball games. The station manager was impressed by the articulate young man and decided to give him an opportunity in an on-the-job audition on April 28, 1938. The next day he was hired as their full time play-by-play announcer for baseball and football games. However, radio continued to be a significant part of Charlie’s career. Through the late 1940s and into the 1950s, he was a part of the Tobacco State Network that broadcast big four Atlantic Coast Conference basketball. For the next three decades he was the play-by-play announcer for numerous universities’ football and baseball programs, including East Carolina, Appalachian State, Virginia, Virginia Tech and Florida State. On Saturday night, May 1, 1954 Charlie Harville walked toward the ring, through the then record setting attendance of 4,300, for the first professional wrestling matches ever held at the Lexington YMCA. Neither he nor those in the arena knew that they were a part of events that would significantly impact him and wrestling in the region for the next thirty years. While climbing into the ring to open the show, an outbreak of cheers from the capacity crowd swept through the building. 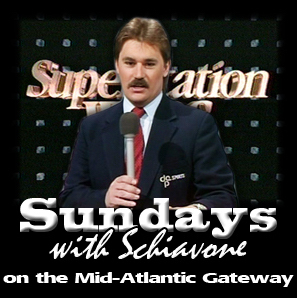 The excitement for the debut of wrestling was obvious, but so was the admiration for the man whose reputation in sports broadcasting was unsurpassed. Charlie was moved by the shouts of his name and waves from those in the stands, but as the consummate professional he made his opening welcome and comments about the inaugural event, and none to bring attention to himself. Leading up to the Lexington debut Charlie anguished over a decision he needed to make before heading out to the YMCA. Being a proud man who cared for the impressions that he made on an audience, what to wear was a major issue. He discussed it in length with his wife and the decision was made – his very best suit. But there was an issue that had not been discussed. In the excitement of being offered the Lexington job, he had failed to confirm payment for his services. However, it was not a priority concern as he was thankful for the new opportunity. The entirety of the event had such an impact on him that many years later, Charlie would tell one of his sons how happy he was in the selection of what he wore before an unexpectedly large and appreciative crowd. Also unexpected was the generosity shown by Jim Crockett. The promoter was so impressed that at the end of the matches he handed the young announcer a fifty dollar bill. That’s fifty dollars in 1954. Charlie looked at the fifty and told Crockett that he was sorry – he didn’t have enough money with him to make change. “…you owe me no change…it’s all yours…you earned it…” explained Crockett. A gratified Charlie Harville left the arena that evening wearing his best suit, with a fifty dollar bill in his pocket. He celebrated the success by taking his wife out for ice cream at a local café. For many years to come, Charlie and the Lexington YMCA had a connection. Crockett hired him as ring announcer whenever he was available. Conflicts with his primary television duties would sometimes keep him away, but wrestling was often a subject on his nightly sports program. This was especially true when a special event occurred in the area. 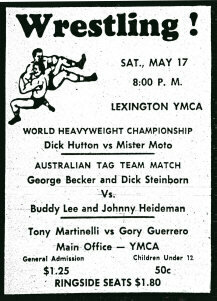 On May 17, 1958 the first ever World Heavyweight Wrestling Championship match was held at the YMCA. Charlie made sure that his viewers were informed about the contest. Lexington’s newspaper, The Dispatch, published a report following the event that included: Television movies were made during the evening by Charlie Harville and Buddy Moore of WFMY-TV, Greensboro. They will be shown this evening at 11:05 on Harville’s sports show. Charlie had high regard for all athletes, no matter the arena of their performance. 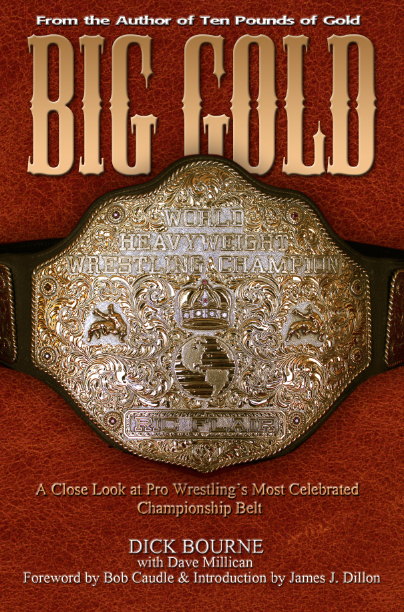 While many mainstream sports reporters looked down on professional wrestlers, he realized the athletic skills and abilities needed by the grapplers to perform at the top of their profession. He admired the acrobatics of Argentina Rocca, the legitimate wrestling skills of Lou Thesz, and the intimidating presence of The Great Bolo. 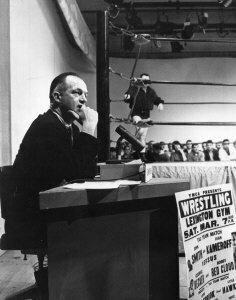 He understood the antics of Gorgeous George, Homer O’Dell and other flamboyant heels as being an important part of the psychology in the good-versus-evil show that drew thousands of spectators. Wrestlers appreciated Charlie for the personal and professional respect shown to them, and many formed friendships that lasted through the years. It was not unusual for a wrestler to ask Charlie’s opinion of a current wrestling angle or one that they had in mind to use later. One of those was the villainous Karl von Hess, who wanted to further build the level of disdain fans had for him. What better way than to accost the popular Charlie Harville during a live show in Lexington! Von Hess talked to Charlie about his idea and they got the angle approved. The stage was set. In those days a large microphone was lowered by a cord from the ceiling. As it came down to Charlie’s reach, through the ropes charged the evil German. The chorus of boos from the crowd was resounding. A back and forth shouting match ensued which further incensed the audience. Von Hess lunged forward while Charlie defended himself by swinging the microphone. One of the fan-favorite wrestlers eventually ran in for the “rescue”. Karl von Hess had reached his desired all time low. Making his way down the aisle through the thrown debris and vocal displeasure of the fans, von Hess was cut across his leg by an elderly woman sitting on the end of a row. As he sat in the dressing room and received stitches needed to close the wound, all involved knew that the angle had worked. 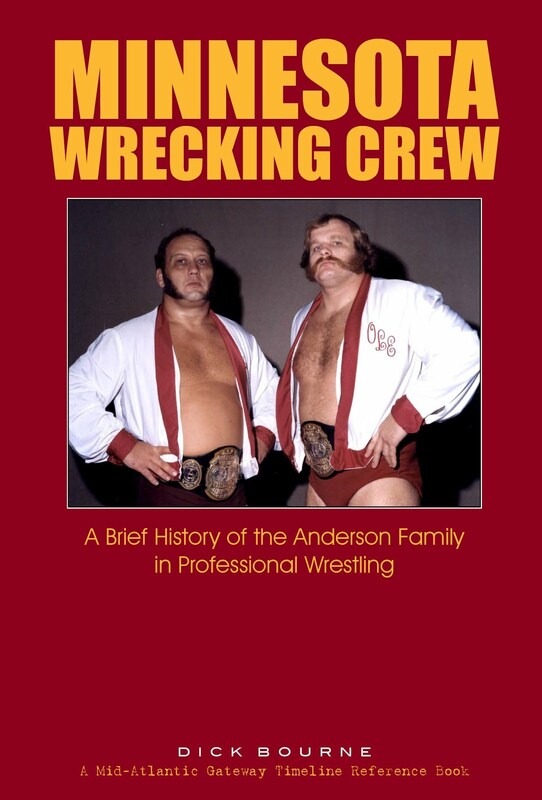 When the wrestlers commented on how well the ring antics had looked, Charlie told the guys that he and von Hess’ shouting back and forth had actually consisted of them asking how each others’ families were doing. Charlie was so admired by Crockett that during one of their many conversations the artful announcer talked about his desire to purchase a particular home that was large enough for his growing family. As with many young people of that era, possessing funds for an adequate down payment was often out of reach. After hearing the story of his friend wanting to improve the family’s standard of living, Crockett handed over to the surprised broadcaster several thousand dollars with the comments “…go buy your house…let me know when you’ve worked for me enough to pay this back…then I’ll start paying you again…”. On November 23, 1961 professional wrestling debuted at the newly constructed Greensboro Coliseum. On that Thanksgiving evening a tradition of wrestling at the Coliseum began which continued throughout the years, often setting attendance records for all types of events held at the site. As in the Lexington opening during the previous decade, Crockett arranged for the large enthusiastic crowd to be greeted by Charlie Harville. The audience then, and for many years to come, gave him ovations which he enjoyed to a level only known by family and a few of his close friends. A conglomerate in the City of High Point had for many years petitioned to be granted a television broadcast license. 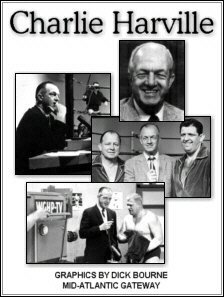 Upon approval WGHP-TV Channel 8 was created and signed on the air on Monday October 14, 1963. In a major power play, they had been able to recruit the biggest name in regional television to join their new operation. Full page ads in area newspapers the weekend before sign-on had spelled out the program lineups for the new channel, but only one personality was highlighted. With the caption “Mr. Sports” above his picture, the text stated: Charlie Harville, for years the top name in sports in the area, will host the news and sports shows twice daily Monday through Friday. Join Charlie for reports from the regional, national and international scenes each weekday evening at 7 and 11 o’clock. In the same advertisement, program schedules were listed for each day of the week. Saturday’s lineup foretold the future. The 6:30 pm show was the Bowery Boys, but beside that title in parentheses were the words: (“Wrestling” soon). Four months later, on February 15, 1964 Championship Wrestling became part of the lineup on Channel 8. 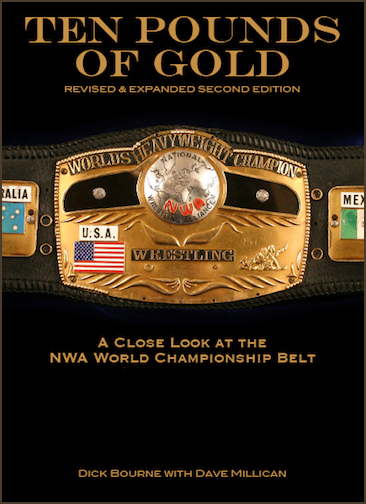 It was an arrangement that would benefit WGHP and Jim Crockett Promotions for the next decade. 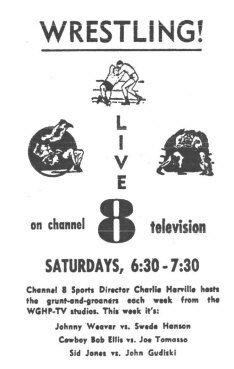 Channel 8 was able to film the show in its own studio, providing much needed new programming for the fledgling station. 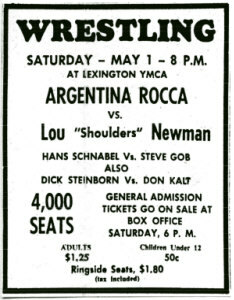 Crockett received extensive new viewership and advertising of its matches throughout the area. Charlie hosted Championship Wrestling in a format of two to three matches that normally featured wrestlers scheduled to appear on major cards in the region’s larger venues. Charlie’s storytelling abilities were never better as he vividly described the wrestling holds and maneuvers to the new audience. His knowledge of wrestling, from covering high school, collegiate and professional matches allowed him to relate the similarities and differences in the bouts whether the viewers were appreciative or skeptical of what they were watching. 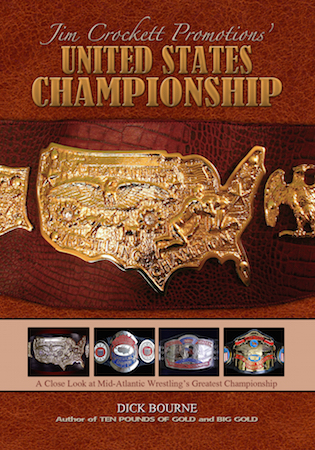 He placed emphasis on the wrestlers’ athletic skills, often describing their backgrounds in competitive sports along with the on-going training regimens required to enhance their ring performance. Interaction between Charlie and the grapplers was an integral part of advancing wrestling storylines for current matches and future feuds. He worked with the participants during their interviews by presenting them as the focus of the show, and would only ask a question or raise a point when doing so would make the interviewee look good, or “bad”, if that were the case. A Scott brothers’ interview often ended with all smiling as George would say “Before we go, I would like to say hello to all of our sick and shut-in friends.” Charlie kept a serious expression when the heel wrestlers made threatening remarks towards him or their opponents. Using his eloquent communications skills, he would often engage them with an appropriate statement or question to advance the storyline, but never in a way to insult the viewer’s intelligence. Unknown to most of the viewers was the level of admiration that wrestlers had for Charlie. Nelson Royal so valued their friendship that he gave one of Charlie’s daughters a saddle from his western store. The significance was that Royal was quite a frugal businessman and not known for giving potential profits away. George Becker was a good friend for over thirty years. Becker enjoyed working with him in the studio and at appearances throughout the area. Charlie hadtremendous respect for Becker personally, and highly regarded his ability to stay in top physical condition throughout his career. Promotional photographs that Charlie distributed where often those featuring him interviewing Becker and his tag team partner Johnny Weaver. Rip Hawk reveled in their relationship and often played tricks designed to throw off Charlie’s delivery. Hawk was one of the top heel wrestlers to appear in the territory, but in real life was acknowledged for his goodwill to others. He was also known for his traditional crew-cut hairstyle. Returning to the area after working outside of the Carolinas for a few months, he arrived at the Channel 8 studios with uncharacteristic longer hair. An interview touting upcoming matches was almost complete when Charlie unexpectedly asked about the new style. Rip looked at him and said in a matter of fact way “I just wanted to show you old men that I could turn it on and turn it off whenever I choose.” After the show they both had a good laugh about it. Two of the more bizarre characters in wrestling were The Missouri Mauler and Brute Bernard. Mauler was a huge burly man with the voice and cadence of a stereotypical camp meeting preacher. Bernard’s persona was that of a demented soul who never talked, and usually strutted around in circles making incomprehensible shouts. 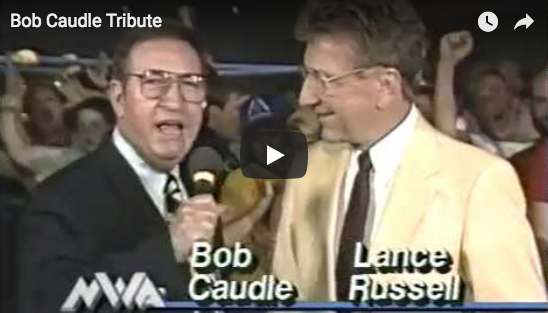 This team of rowdies carried out an angle that became known as the closest to making Charlie break from his professional demeanor during a broadcast of Championship Wrestling. Mauler and Brute were in the last match of the evening and, after defeating their foes, came to ringside for an interview. With Charlie holding the microphone as Mauler ranted and raved, Brute repeatedly circled them making the guttural sounds of “Uh Uh Uh Ah Ah Ah Oh Oh Oh.” He got closer and closer with every lap and eventually began to bump into his partner and the host. “Can’t you control him?” Charlie finally asked Mauler. In a drawn-out quivering voice that would have impressed Jimmy Swaggart, Mauler looked directly at Charlie and proclaimed “Let me tell you something Mister Har…rrr…ville. If I, the great Missouri Mauler ever had a son, I would want him to be just like this man!” Mauler points downward and the camera shows Brute on the floor at Charlie’s feet tearing up and eating a wrestling card that had been on display. With only a few seconds of time remaining Charlie calmly did his normal show ending. A moment later the signal was given that taping had ended. Brute looked up at him and said “Do you think they bought that?” Charlie, the wrestlers, the studio crew, and all on the set broke into loud, long and hearty laughter. The 1970s brought about many changes. Jim Crockett passed away on April 1, 1973. 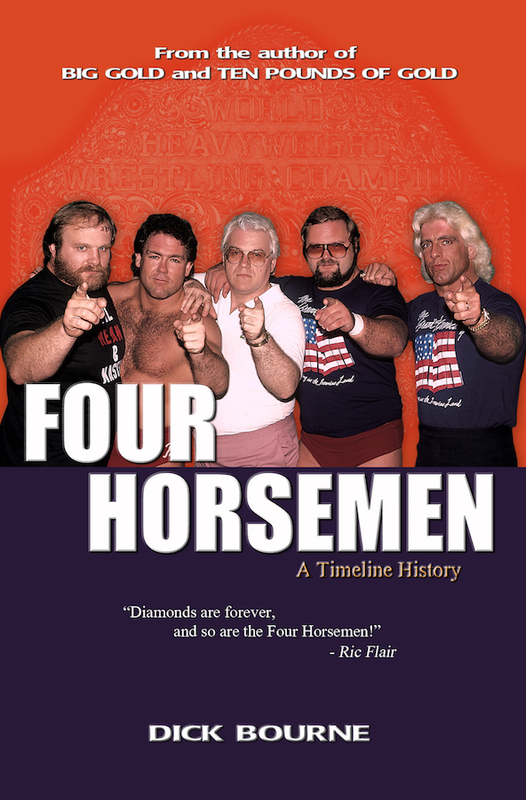 Championship Wrestling ended as Jim Crockett Promotions began taping all of their television shows at WRAL for distribution in the southeastern markets. 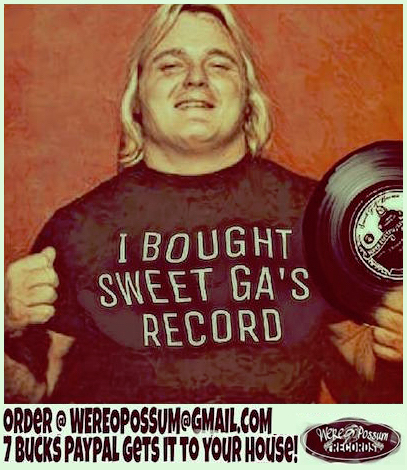 Charlie Harville left WGHP in January 1975. He continued his career as a freelance broadcaster for various sports teams and auto racing programs. He began research and became the author of a book titled Sports in North Carolina: A Photographic History. It was the only published account involving the full range of amateur, collegiate and professional sports history in the state. Among the hundreds of major personalities and events featured, Charlie paid tribute to Jim Crockett. Under a photograph of the famed promoter he wrote: Jim Crockett of Charlotte was one of the original owners of the Charlotte Checkers ice hockey team and a longtime sports promoter of events throughout the state. 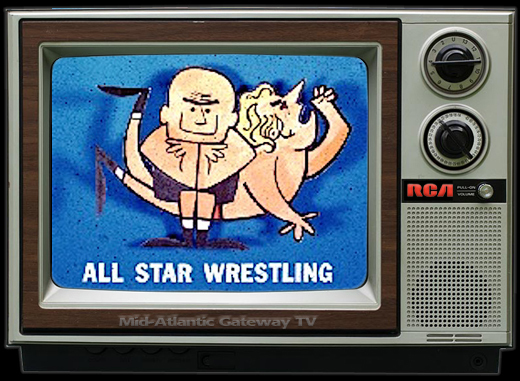 He pioneered in televised wrestling in North Carolina, and promoted matches for many years in Charlotte, Greensboro, Winston-Salem, Raleigh and other cities. 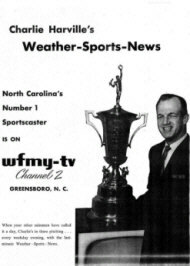 Charlie returned to WFMY in 1977 as sports director, and remained with Channel 2 until his retirement in 1988. 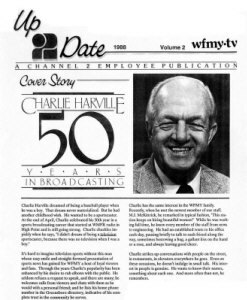 On April 29 of that year the station produced a live special program titled Charlie Harville: 50 Years In Broadcasting. The studio was filled with dozens of admirers, including sports personalities, political figures, business leaders and broadcasters who had been associated with him throughout his career. Accolades and honors from numerous institutions were presented, and Charlie graciously described his experiences with each. 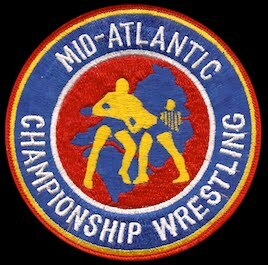 One evening in the early 1990s a professional wrestling card was being held at the Greensboro Coliseum. Charlie was on the way home from a formal event that he had attended, and decided to stop by the arena to see a friend that had become a ring announcer. A match was underway as he entered the building, and seeing his friend at the timekeeper’s table, walked down the aisle to visit. Although not involved with wrestling in several years, and unannounced to the audience, people along the way recognized him and began to applaud his appearance. 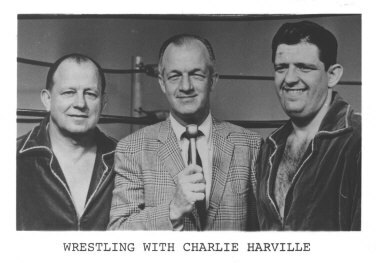 In a scene reminiscent of almost forty years before at the Lexington YMCA, Charlie Harville – the prominent sports authority, wearing what was likely his very best suit and trying not to bring attention to himself – was again celebrated by a wrestling crowd. His journey had come full circle. Special thanks to the Harville family, as well as Charlie Harville's friends and professional associates who provided their time and invaluable assistance in the preparation of this article. 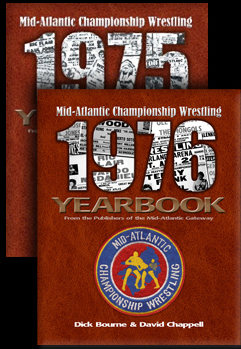 For more information on the history of pro-wrestling on WGHP, please visit the WGHP page on the Mid-Atlantic Gateway Archives. Comments or questions about this article or about Charlie Harville's contributions to wrestling are welcome. Contact Wayne Brower at cwbrower1@gmail.com.